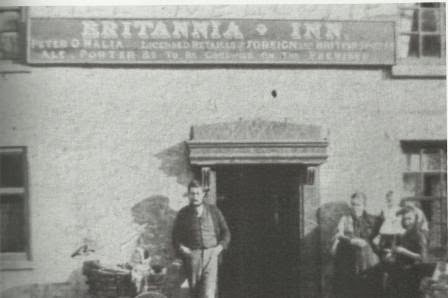 The Britannia Inn taken in the late 1890's; pictured stood outside is probably Peter O'Malia. 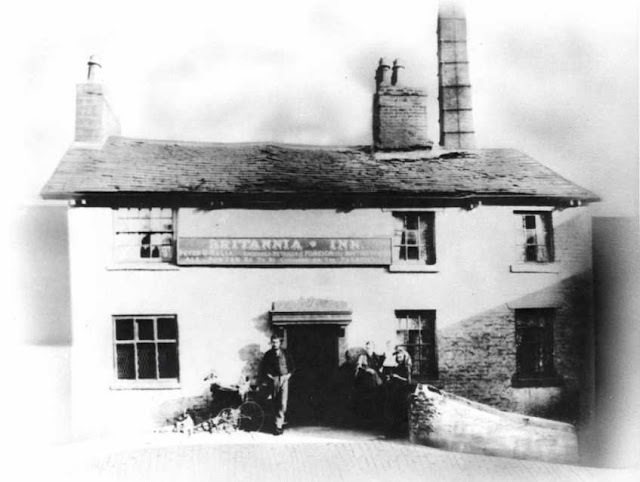 The Britannia no longer exists today but was situated on the main road heading North out of Chorley and is first recorded as early as 1818. 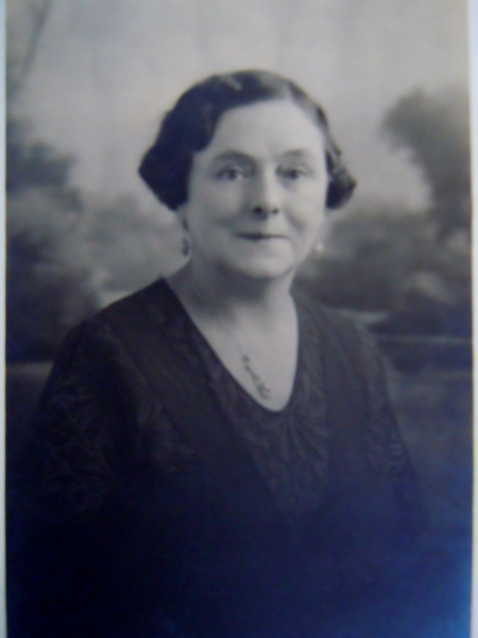 Landlords listed through the years were Thomas Riddihough (1818), M Morton (1822), Thomas Bradshaw (1824), Thomas Hattern (1828), Peter Hunter (1835-39), Jeremiah Porter (1851), Alfred Whalley (1861), William Riding (1861), Alfred & James Whalley (1865-76), Edward Tattersall (1879-1882), Joseph Bond (1889), Margaret Bond (1891), Peter O’Malia (1896-1900) and Joseph O'Malia (1900-). 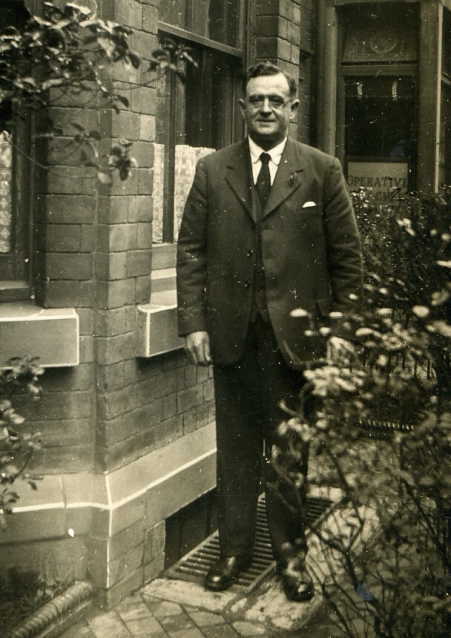 Joseph O'Malia appeared in the papers in 1900 following a request to open a new hotel in Chorley at the junction of Hamilton Road and Devonshire Road. 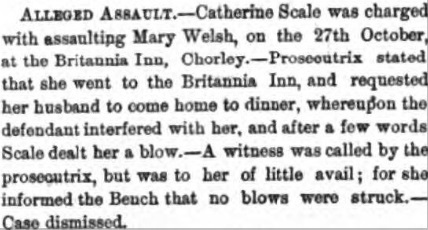 His application was turned down but his license was renewed nonetheless at the Britannia. By 1911 Joseph O'Malia was living to the north of the town on Beaconsfield Terrace and working at the Gas Works on Water Street, which would have been adjacent to the Britannia. 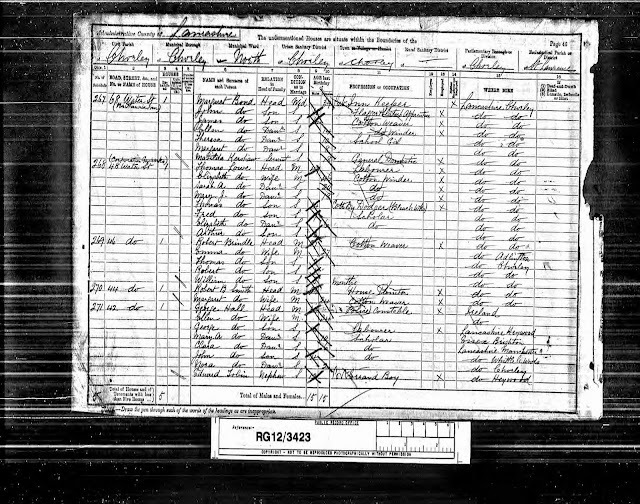 Joseph's father and previous landlord Peter O'Malia was still living close by at 33 Parker Street and working as a Grocer in 1905. 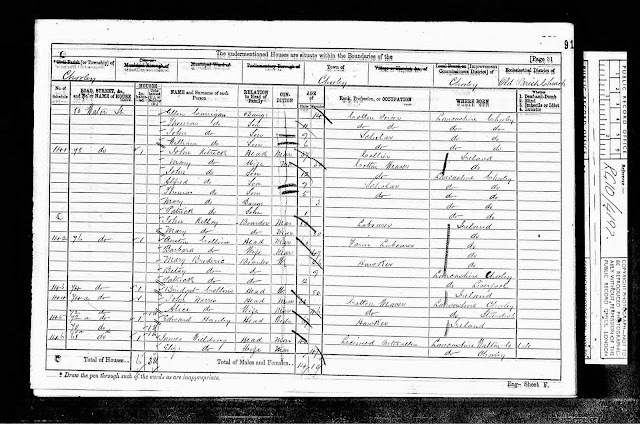 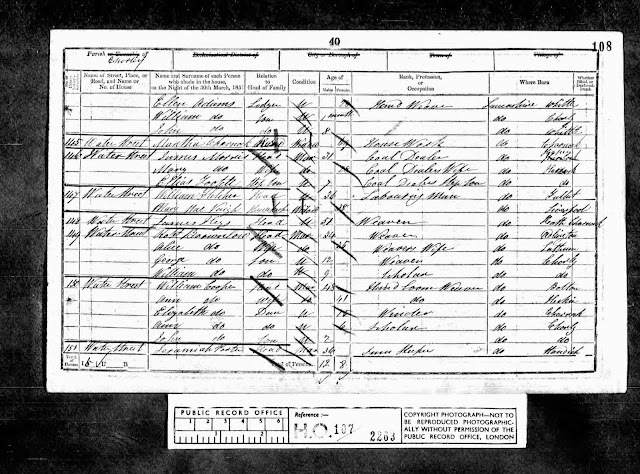 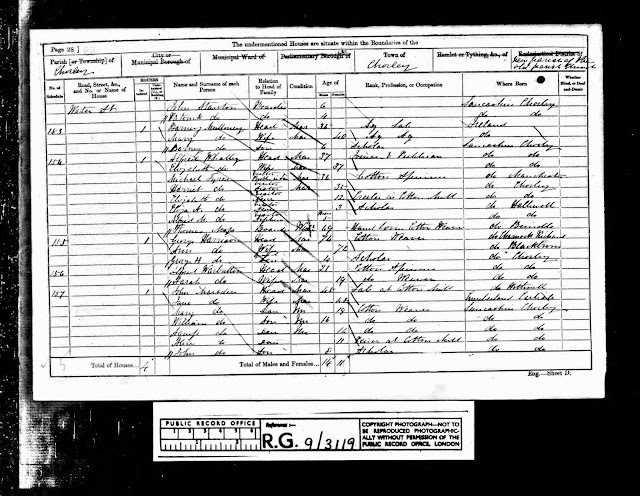 There is no trace of the Britannia on the 1911 census or commercial directories after 1901. 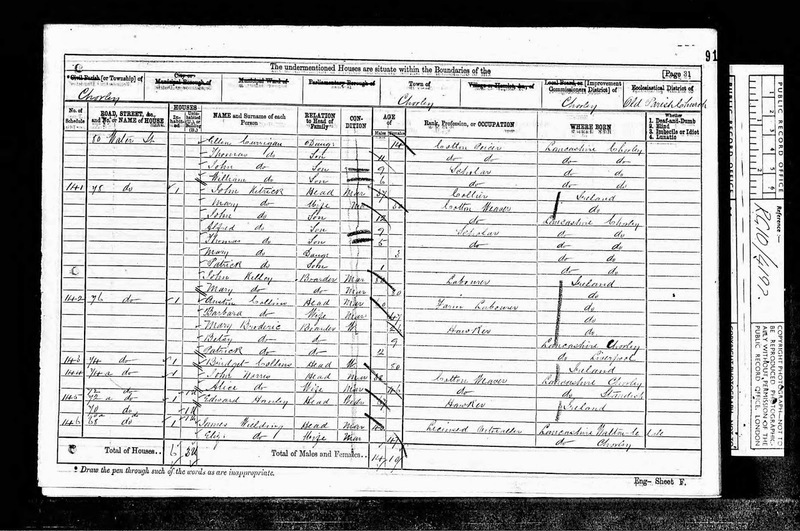 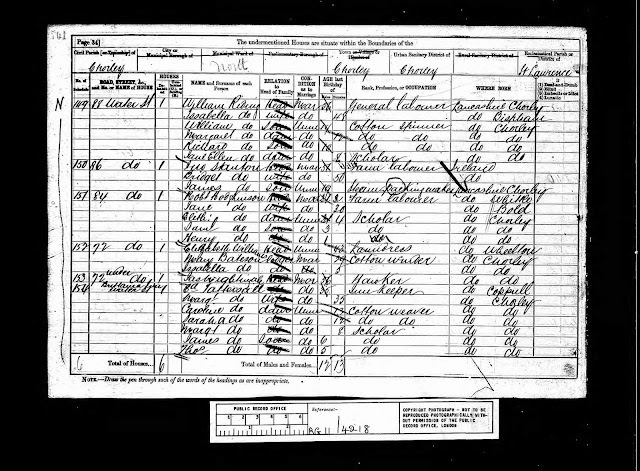 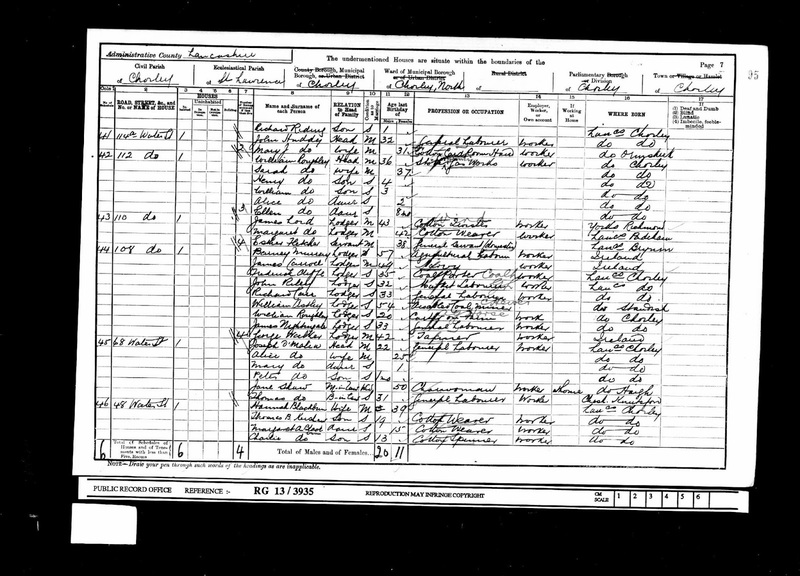 The 1911 census goes from no.48 Water Street to no.144 so I can only assume that by this time the building had been demolished.